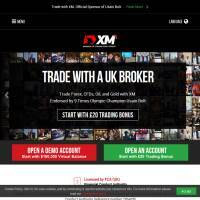 XM Markets is an online broker which allows its clients access to several key international markets. You can trade commodities, invest in indices or exchange currency pairs on the Forex markets. The site offers a great range of seminars and webinars, plus up to date market research and analysis. There are options for new traders, including low initial investments and negative balance protection to prevent you from losing more than you can afford. As with any online trading service, it’s important to remember that you can lose, as well as potentially gain, money on XM Markets. Trade commodities, invest in indices or exchange currency pairs. We were particularly impressed with the educational tools available through XM.co.uk. The research centre provides regularly updated information on new market research, plus you can read market reviews to find out which areas are worth investigating. The Forex news pages are specifically designed for people who want to trade on the international currency markets, whilst technical analysis pages offer insightful breakdowns of current and potential-future trends. View graphical data with a detailed analysis on the ‘Investment Themes’ pages. The site’s Learning Centre provides webinars, video tutorials and Forex-specific seminars in your area. Combined, these can really help to bring you up to speed on online trading, and seats are limited to provide an opportunity for feedback. Additional tools include Forex signals, a Forex calculator an economic calculator. Whilst there are a surprising number of useful tools for helping you trade on Forex markets, there are fewer for commodities and indices. However, there’s still plenty to explore, including detailed breakdowns, analysis and news to take advantage of. You can easily view a great range of recent data on each market, helping you to make quick decisions on which items to buy and sell. 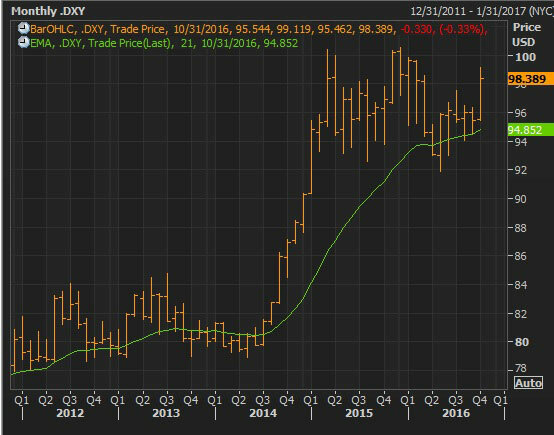 Find the latest data on commodities markets. XM.co.uk is very keen for its members to feel secure whilst using their services. They explain that they offer no requotes or rejections, having provided more than 150 million trades. They also offer around-the-clock support through an online live chat feature. All clients gain the advantage of negative balance protection, so you can never lose more than the money in your account, and there are zero fees to pay on trades. Combine that with the ability to make very small investments, and it’s a useful place for new investors to experience the thrills and spills of online investment. New account holders also receive a £20 bonus to their account, whilst other bonuses are available as you progress. Buy and sell precious metals (including silver and gold), energies such as natural gas or oil, with instant exposure to international markets. Low deposits allow new traders to try their hands at commodities trading, with no stock exchange fees and the ability to benefit from falling prices. The site offers speculation on future trends to help you make wiser investments, with easy-access details of spreads, lot values, margin spreads and trade sizes. Global economies are at your finger tips, with live information on market moves to improve your investment decisions. The system is designed to benefit short and long term strategies, so you can turn a quick buck or buckle in for the long ride. There are no hidden fees, and a wide range of global markets including indices in Australia, China, EU, Japan, the UK and the US. A variety of webinar and seminar options can help bring you up to speed with the Forex markets. You can also benefit from economic calendars and calculators, plus online video tutorials. Forex signals tools provide free, unlimited access to the signals hub where you can find out about 10 key financial instruments each day. Forex options include access to more than 50 international currencies, with leverage of up to 888:1. XM.co.uk takes care of its clients, helping to education them on the best ways to approach the markets. If you’re new to trading, you might be attracted to the new account bonuses and low deposit rates. The demo account also allows you a chance to explore your options and to find out how you might perform with real-money investments. Whilst there aren’t so many platform options available, we feel there’s plenty of support available to point you in the right trading direction.